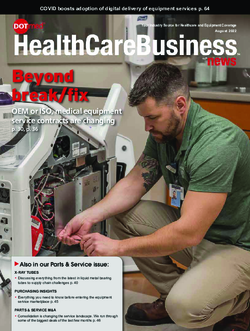 DOTmed HealthCare Business News is THE source for busy medical professionals looking to improve the health of their bottom line. Each month we deliver unique features found nowhere else, and a summary of the news you need for FREE. DOTmed HeathCare Business News is sent monthly to over 31,000 influential medical executives. For advertising information, please Click Here.